Everyone has their favorite gadget, for me it is my smartphone. Despite the term smartphone, our phones in the recent years sports a pretty dumb battery life, ending up with people searching for the nearest power outlet at the middle of the day. Bummer. Mobile power banks has recently been a hit for the on-the-go gadget users who needs that extra juice on their devices without having the need to plug their devices on the wall. But, even these power banks lack that juice to help you throughout the day. Recently, Chinese brand Xiaomi entered the Philippine market and bought their affordable and large capacity Mobile Power banks budded as Xiaomi Mi Power Bank. Xiaomi is a fast growing tech company in China that is making waves worldwide because of their great line-up of devices. They recently entered the tech-loving Philippines to try get a piece of the pie in the market and they are actually doing an awesome job so far. They partnered with Lazada Philippines in selling their devices and one of them is the Xiaomi Mi Power Bank. The Xiaomi Mi Power Bank comes in two versions, a 10400mah version and the smaller 5200mah -- half the capacity of it's heavier brother. These two power banks are really selling like hotcakes recently that you need to battle your way to get a unit during Xiaomi's online selling events on Lazada. I happened to snag one and got the 10400mah. Although the capacity of this device is far greater than the normal power banks we see in the market today, its size is fairly small and fits right in the palm of your hands. I'm going to say it early, you can't just put this in your pocket (unless your pocket is huge), but it's a great device you can tow away in your everyday bag. Now, it's not just about the look but also about the performance. I have been using this everyday for the past month and I can definitely say that it's a device I can't leave home without. A full charge of this power bank can charge my iPhone5 around 4 full charges, that's more than enough for a couple of days! Charging time of the power bank unit can take you around 4-5 hours for the 10400mah variant, just cut that in half for the smaller capacity version. Overall, I definitely recommend this device for those who are always on the go. Aside from your mobile phones, you can also charge different devices here like pocket wifi units, tablets, and even some camera that uses USB charging. As for the price, it's really cheap! The 10400mah sells for only P645 while the 5200mah sells for P445, it's a nice investment that'll keep you prepared for those days when you really need some extra juice on your tech devices. 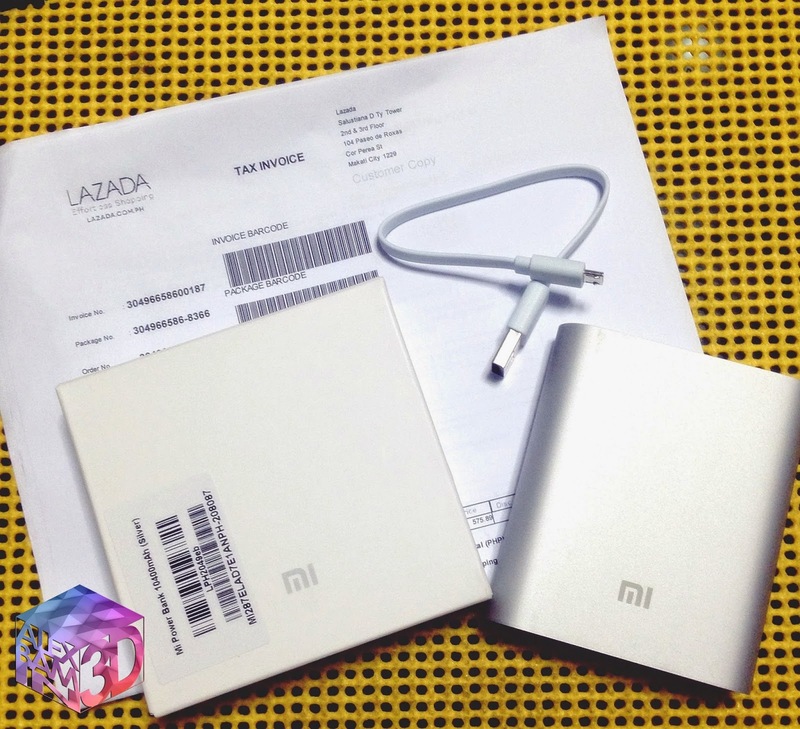 The Xiaomi Mi Powerbank is available through Xiaomi Philippines' Official Lazada page: http://www.lazada.com.ph/mi-accessories/ just a reminder that it's not available all the time. You'll have to wait for Xiaomi Philippines' announcement on their social on when the device will be available again. Disclosure: This review is not sponsored by Xiaomi Philippines, I personally bought the device for review.